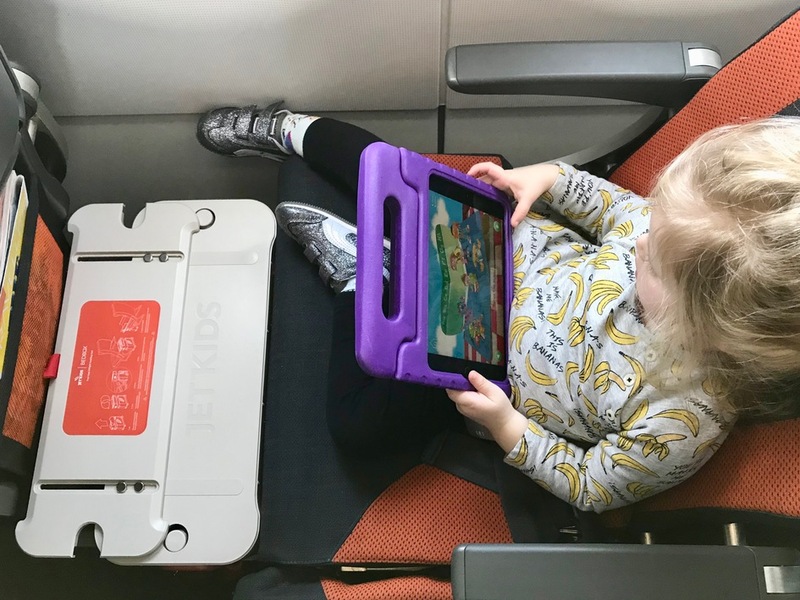 JetKids BedBox: a bulky burden or a brilliant travel blessing? 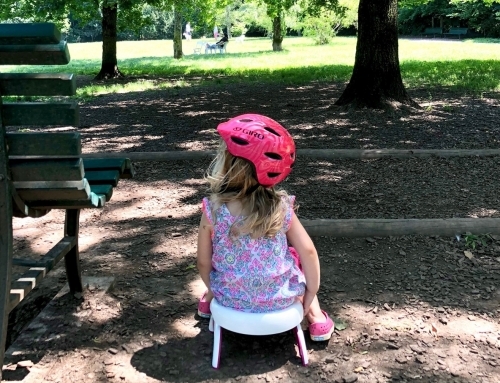 Home » JetKids BedBox: Bulky or Brilliant? Crust-less sandwiches, skinless apple slices, and the oh-so-specific cup to quench their never-ending thirst. Are these requests from fancy first-class flyers? 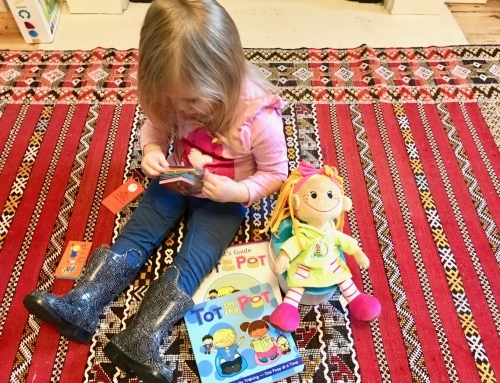 Of course not – they’re from our toddler! 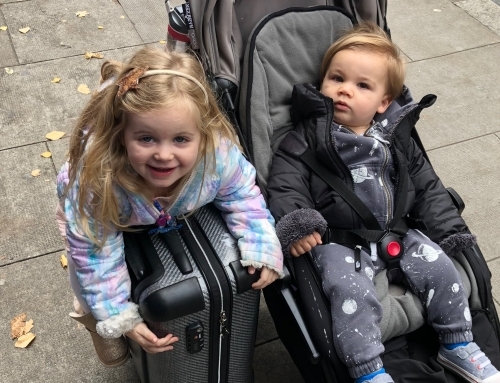 Since we’ve created our mini monster by bending like Beckham to her every whim, it’s understandable that she’s confused by the word “economy” on her plane tickets. It may be because she can’t read or the fact that she truly believes she belongs among those that turn left when entering the plane doors. Either way, she fully expects the first-class service at all times. Lucky for us, while she may be a master manipulator, at 2.5 years old she’s still not the brightest crayon in the box and therefore is easily tricked by her older, wiser, and cheaper parents. So when faced with long-haul travel or overnight flights, we’re always aiming to create a cozy environment amidst cramped conditions for our high-end traveler. 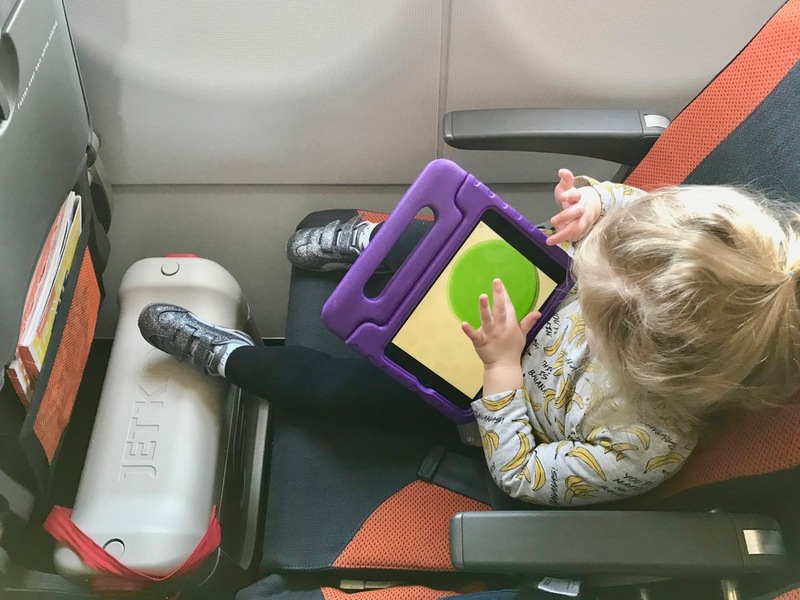 After having tried slings, stools and inflatables, we were excited to give the much talked about JetKids BedBox a go to see if this innovative travel product was, in fact, worth the schlep. Royal seating like Sir Elton John: a super soft mattress and foam side guards make for a throne fit for royalty when used as a childrens airplane bed. 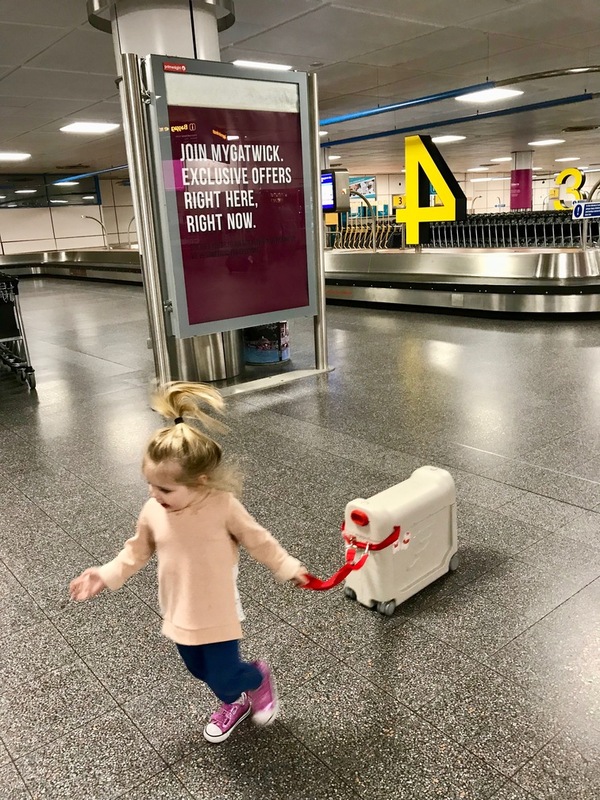 Turns on a dime like Diana Ross: I love a good set of wheels, and this bed box for kids has them which makes pulling it a breeze, which can’t be said for many other children ride on suitcase experiences we’ve had. Holds tons of stuff like Cher’s assistant: my backpack is no longer the kids dumping ground for snacks and toys! Hurrah! Even with the mattress inside you can fit most if not all of what they need for a travel day. 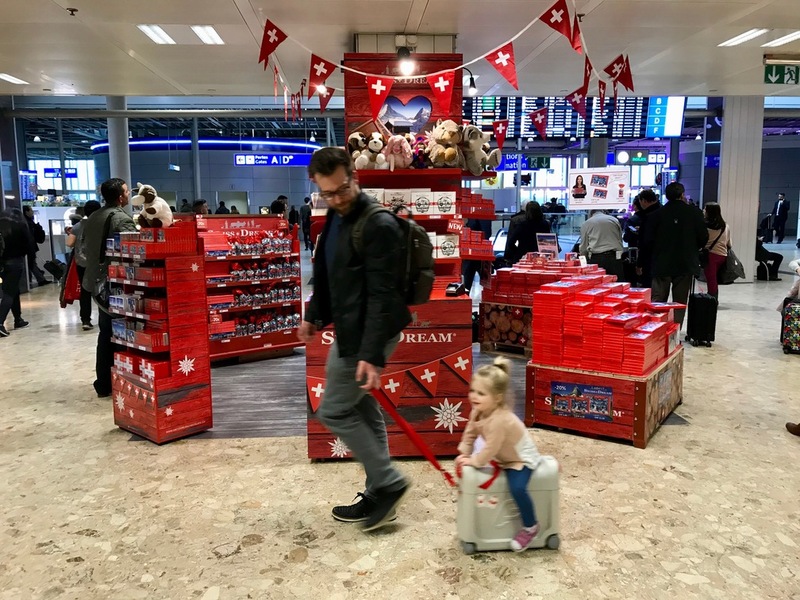 Making this kids ride on luggage a useful addition to the family travel gear. Multitalented like Beyoncé: Bey and Jay will say it’s all about versatility these days and this thing has it. 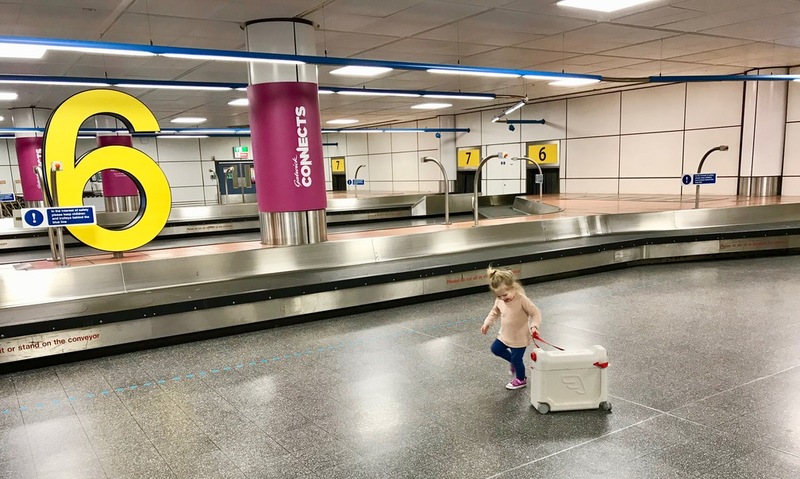 It’s a ride on suitcase for toddlers to make it to your gate this century, they can put their feet on it while it’s still closed, and then it becomes a kids airplane bed when fully opened. 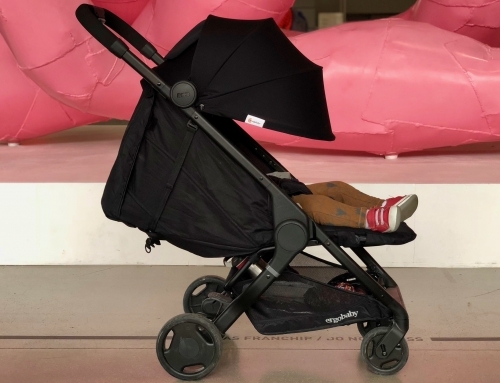 Tough as Whitney’s bodyguard: it’s the Kevin Costner of kid’s products with a seriously tough outer shell. Basically, if we manage to break it then I no longer need to consider going to the gym. Cumbersome like Christina’s baggage: because of its shape and handle it definitely wasn’t the easiest thing to schlep. 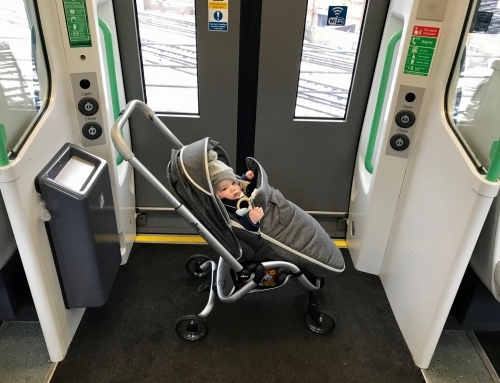 But once we realized that hanging it on the back of a stroller was the most convenient method outside of pulling it as a childrens ride on suitcase, it was way easier. 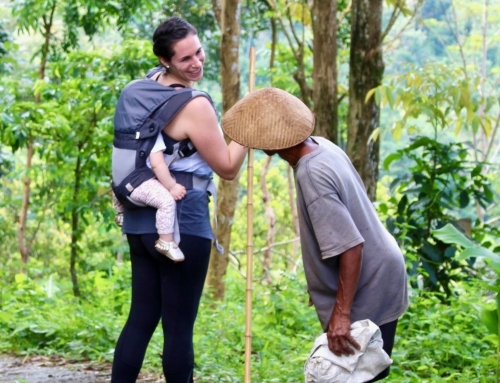 Even while carrying the many outfit changes the toddler commands, we generally travel very light. So having the JetKids BedBox was a noticeable extra piece of luggage for us to haul around. 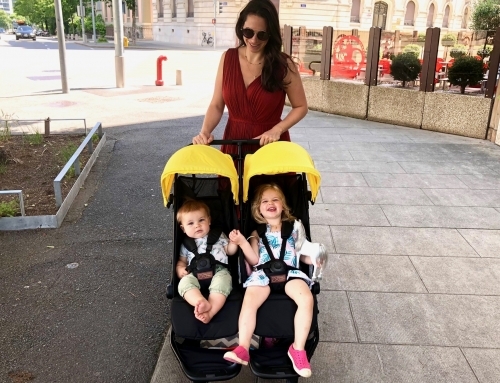 But if you’ve given in and allow your kids to bring products like the Trunki, then you won’t notice a difference besides the JetKids Bed Box being 10x more useful and better made. Seriously, there’s really no comparison in the JetKids vs Trunki debate. Outside of it being an extra thing to bring, I couldn’t find any other faults with the BedBox. It was way easier and quicker to set up and break down and made with higher quality materials than any slings or inflatables we’ve tried. 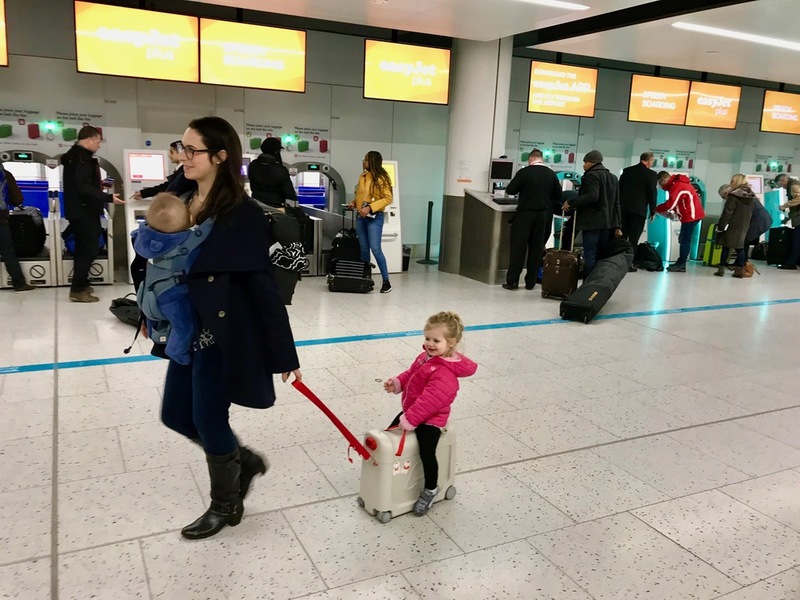 I know some airlines aren’t into devices like these but we brought it on recent EasyJet and British Airways flights with no problem. 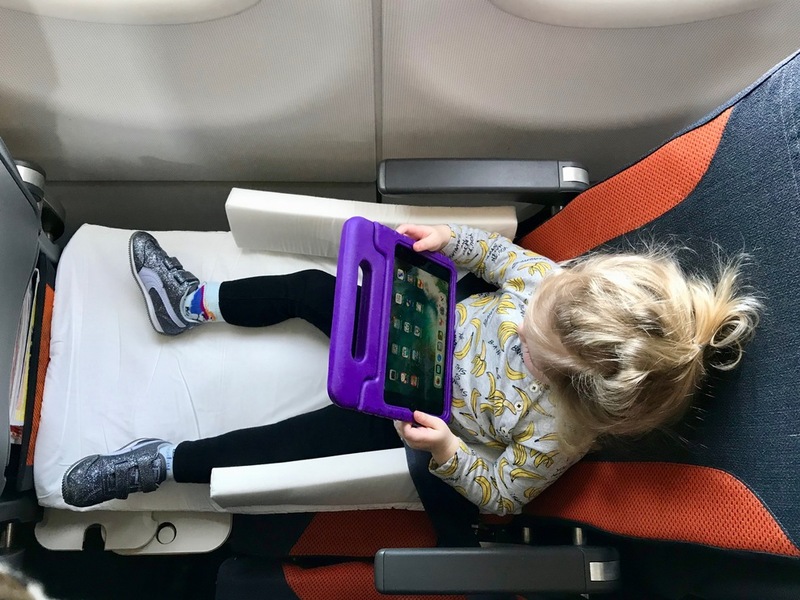 If you’re unsure about an airlines policy just google JetKids Bed Box British Airways or call up EasyJet to ask about their JetKids EasyJet Kids policy. You’ll definitely see us bringing it on our long-haul journeys but may keep it home for the short hops to keep our baggage to a minimum. Overall I give the JetKids BedBox 2 diva thumbs-up (but don’t touch the nails because we clearly just had a manicure). 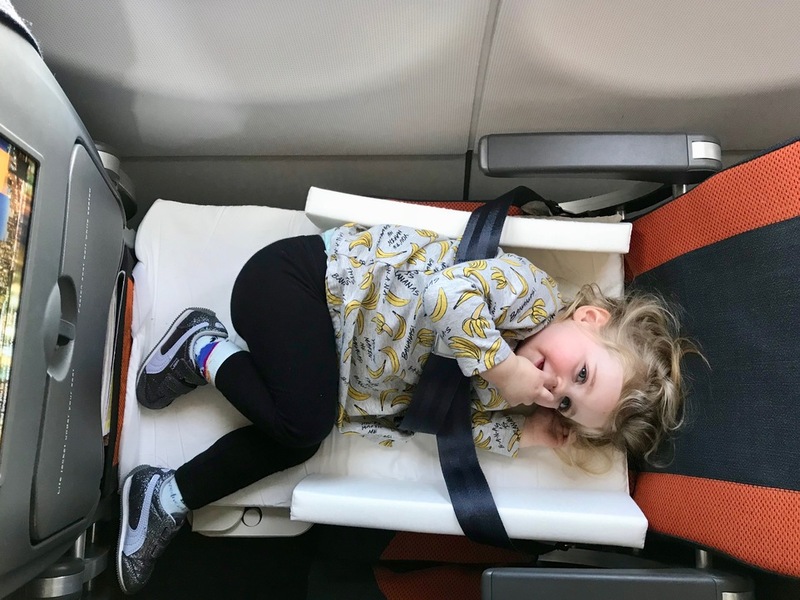 Thanks to JetKids BedBox for sponsoring this post and making such a smart and well-made toddler bed for plane travel! Now if you could only make a booger proof mattress that would be great. You can purchase the JetKids BedBox on Amazon or JetKids website. Im so glad you liked it. I used it on British Airways but that was over a year ago and these airlines are constantly changing their rules on this kind of product. 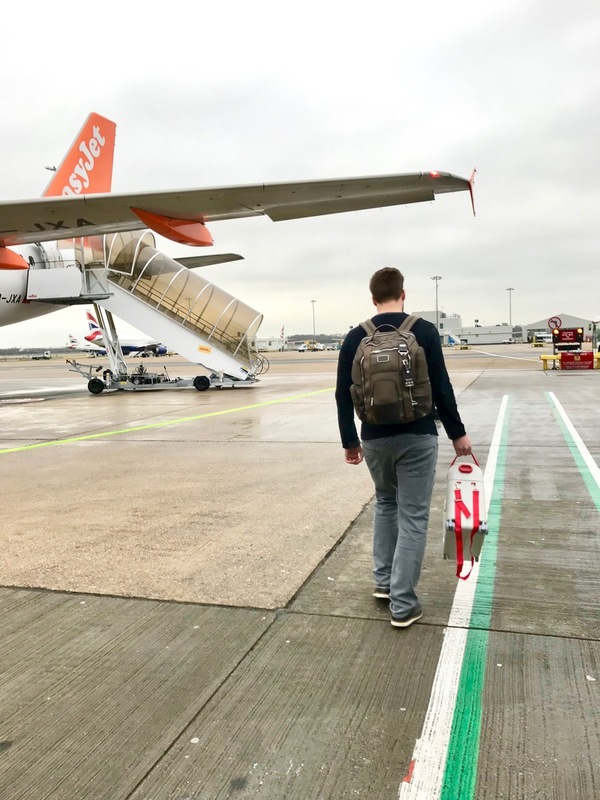 I would recommend emailing JetKids, they are very responsive and helpful and can tell you as much information as they know about the current airline policies and who’s allowing or banning their product at the present moment. JetKids will know better than someone who answers the phone at a BA call center Id think.